DAILY UPDATES FROM THE "South Asia Three day capacity building workshop on Innovative Use of Technologies (ICTs) for Community Monitoring to Enhance Health Rights of the Community"
Some glimpses of the COPASAH – South Asia Three day capacity building workshop on Innovative Use of Technologies (ICTs) for Community Monitoring to Enhance Health Rights of the Community, which is being held at Gandhi Bhawan in Bhopal (Madhya Pradesh) in India from January 8-10, 2015. 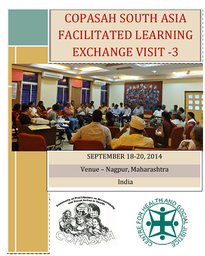 The workshop focuses upon the use of technology to strengthen Community Based Monitoring (CBM) in health and how to document evidences using technology in CBM and disseminate information through different platforms including COPASAH practitioners from six states of India of Uttar Pradesh, Maharashtra, Madhya Pradesh, Gujarat, Tamil Nadu and Karnataka. The first day focused upon building knowledge and perspective around COPASAH, CBM and use of ICT for CBM. 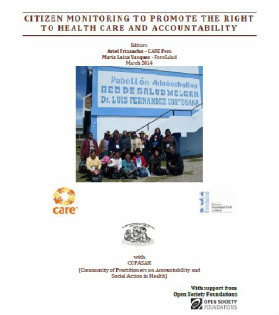 The community practitioners also gained perspective upon the Photo –Voice methodology and its use in CBM. 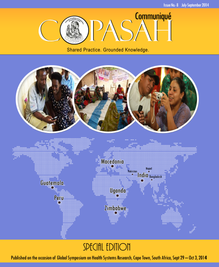 COPASAH is a community where practitioners who share an interest and passion for the field of community monitoring for accountability in health interact regularly and engage in exchanging experiences and lessons; sharing resources, capacities and methods; in the production and dissemination of conceptual, methodological and practical outputs towards strengthening the field; and in networking and capacity building among member organizations. This Community of practitioners was established as result of a three day 'Practitioners Convening on Community Monitoring for Accountability in Health' organised by the Accountability and Monitoring in Health Initiative (AMHI) of the Open Society’s Public Health Program in July 2011 in Johannesburg, South Africa. 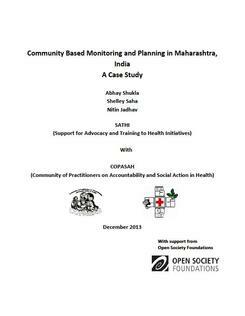 Community monitoring for accountability in health is a young and evolving field. 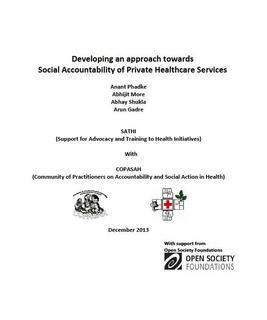 It is a bottom-up approach sustained by participatory processes. The documentation and analysis is carried-out by citizens themselves. 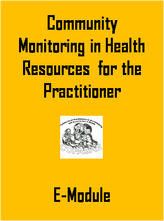 Since community monitoring is carried-out within and by socially excluded populations, it adds legitimacy to equity concerns and to specific demands for more responsive and people centered health systems. COPASAH had set up a table in the market place exhibiting the knowledge products and other publications. 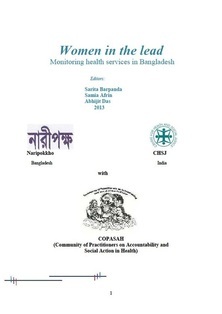 The article by Dr Abhijit Das, CHSJ briefly surmises the overview of COPASAH member practitioners’ efforts towards Community based Accountability practices across several countries for increasing people’s participation including demand for public services, improving program efficiency as well as promoting public program accountability, through active citizenship and Peer Learning.